Commodore 1081 Manual and Schematics are now added. 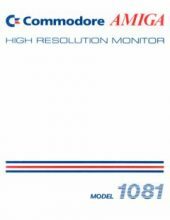 This entry was posted in Monitors and tagged commodore, manual, monitor, schematic by Carsten Jensen. Bookmark the permalink. Where are the schematics? They aren’t inside the user manual. found them. Sorry for the noise. No worries, it isn’t that obvious unfortunately..